It’s late at night and you’ve just touched down at the airport after flying into a new city. Collecting your bags off the carousel, you turn to find the exit for ride shares. The cleaner, who is dust mopping the marble floors, sees you and welcomes you to Dallas. He asks if he can help you find something. Relieved you don’t have to go find someone who likely won’t be standing at an obscure podium this late at night, you thank him and ask where the ride share stand is. He smiles and points to the south-facing door. The next morning, you wake up in your hotel room and start getting ready for the conference, which starts in a few hours. As you head out the door, a housekeeper greets you and says good morning. She asks how you slept and if you need anything to make your stay more comfortable. An extra pillow might be nice, you tell her, giving her your room number. She says she’ll make sure to leave another pillow for you, wishing you a good day. This isn’t a dream. This is an opportunity. 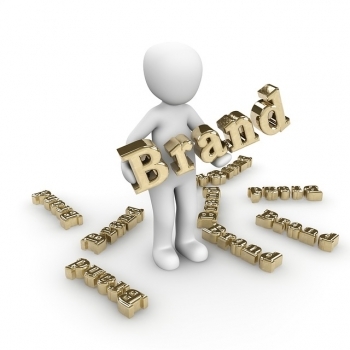 Successful branding can increase customer loyalty, improve your image, and create a relatable identity. 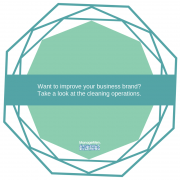 If you’re reading this blog post, you already know that a lot of businesses treat cleaning like a commodity. They want the task of cleaning to be done for the lowest cost. And you know why this happens—too many people don’t understand the value of cleaning. They don’t realize how cleaning affects the health and productivity of people who live, work and/or visit their buildings. But what if we adjust the lens to show how cleaners impact not only the cleanliness of a building, but also a guests’ perception of the business—and ultimately, it’s brand? As this Forbes contributor notes, “When given the choice between Target and Wal-Mart, many people generally agree Target is a better experience. This is mostly due to the cleanliness of the stores and overall operations. What’s more is that online reviews are playing an increasing role in what businesses people support. Some research shows that of every five people who walk through the front door for the first time, at least four of them will have read about the business first online. A dirty business can be a big deal—who cleans that store and how they clean will have a substantial impact on that visitor’s experience and perception of that brand. Customer Service: We tend to focus on the job of cleaning, but in many facilities, cleaners are also one of the most customer-facing parts of a business. We’ve heard so many stories about the impact of an environmental service worker during a hospital stay. It’s not the doctors or nurses who leave an impression, but the person who comes in to clean the room every day. Similarly, in a hotel, school, shopping mall, airport or retail store, a custodian may be the first person a guest sees when they need something or have a question. If that cleaner isn’t empowered with the right training and support to respond to that question, it is a missed opportunity. As businesses look to evolve and separate themselves from the competition, they will look to engage ALL customer-facing employees and operations in developing the experience for people visiting their businesses. Custodial departments can—and will— play a vital role in that effort. As a cleaning professional, the better you can communicate this, the more invaluable you become.